Exploring the “Land of the Thunder Dragon” is an experience like no other on this two-week journey through the heart of Bhutan. Nestled deep in the eastern Himalayan Mountains, this modern ‘Shangri-La’ is a country that embodies the principles of Buddhism to its very soul. As you travel through tranquil valleys and over soaring mountain passes, and into a land of Alpine meadows, teak forests and roaring rivers, you will visit the many monasteries, fortresses and temples that define Bhutan. From the capital Thimpu, noted for the fact that there are no traffic lights, despite its to the winter home of great migrating flocks of Black-necked Cranes, Bhutan is a kaleidoscope of culture, heritage and history. And, quite frankly, there are no adequate words to describe its stunning scenery. While wandering through the markets and in and out of small villages, you will fall in love forever with Bhutan’s charming and hospitable people. 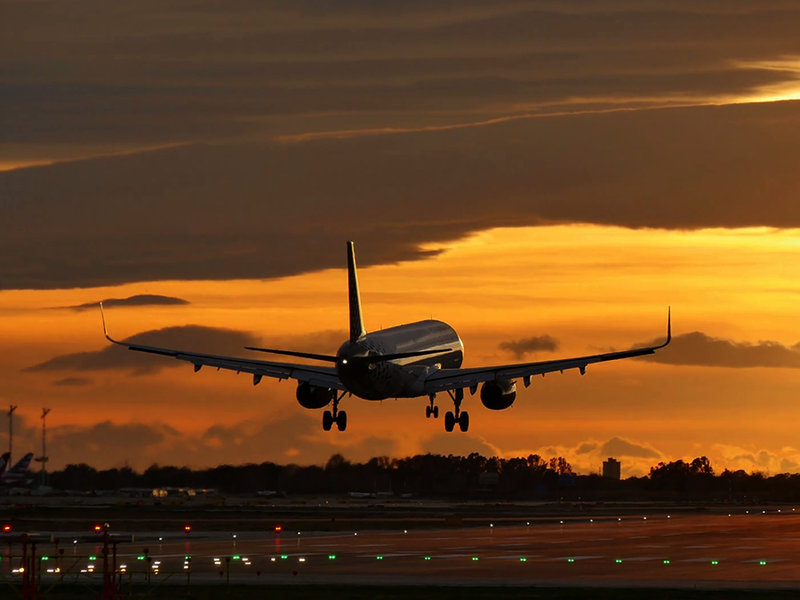 Arriving at Delhi’s Indira Gandhi International Airport you are greeted by our staff who will transfer you to your hotel. The balance of the day is free to relax. You will be transferred after breakfast to the airport for a flight to Paro in Bhutan. On this scenic flight, you’ll have the opportunity to see some of the world’s highest mountain peaks. As you are about the land at Paro airport, you will have an aerial view of Paro Dzong and Ta Dzong, two watchtower fortresses. 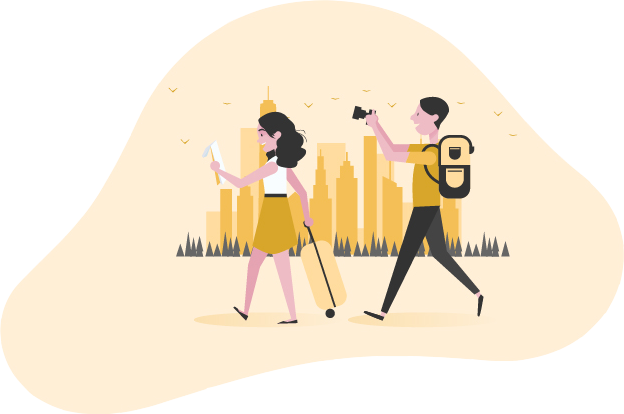 Upon arrival our representative will meet you with local guide and a chauffeur driven car, and after a short briefing, you will be transferred to your hotel. 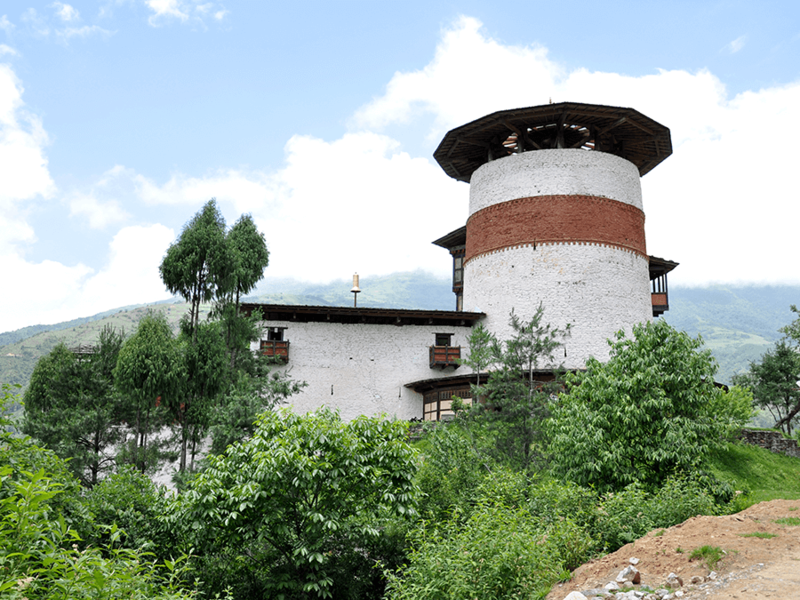 In the afternoon visit Ta Dzong, originally built as Watchtower, which now houses National Museum and then tour nearby Rinpung Dzong. Or, you could just spend some time in local market being introduced to Bhutanese culture. After breakfast take a walking excursion to Taktshang Monastery, popularly known as the Tiger Nest. Built on a cliff 900 m above Paro Valley, this trek takes approximately 2 to 2 1/2 hours each way. 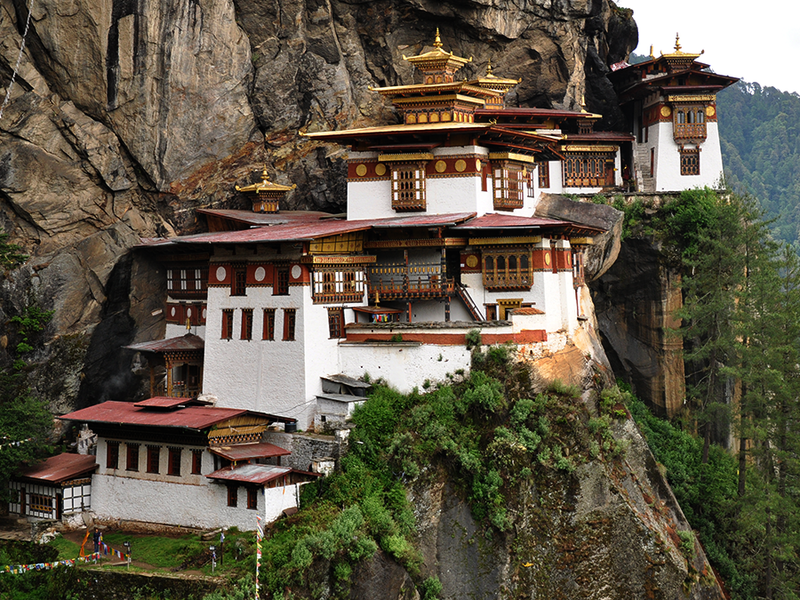 It is well worth the walk as the monastery is considered one of the most famous places in Bhutan. On the way back, there will be a quick stop at Drukgyel Dzong, a ruined fortress. 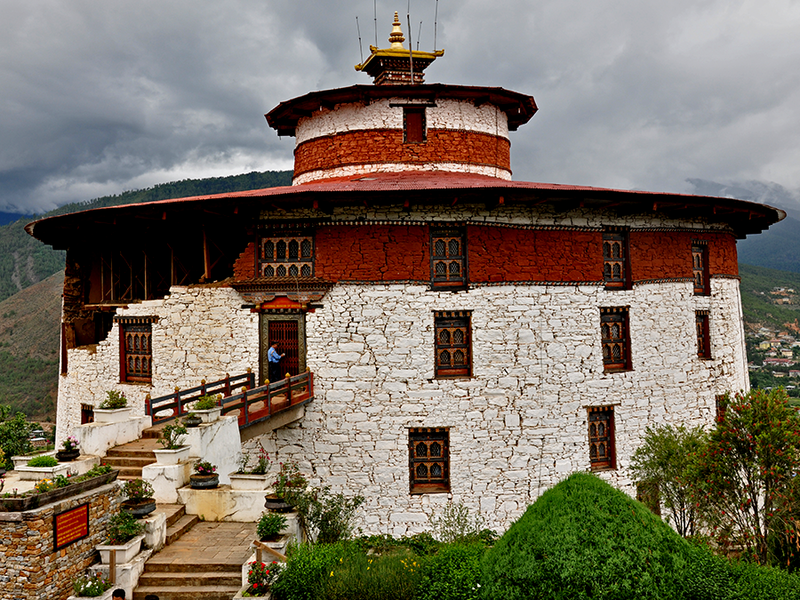 You can also visit another monastery along the way, the 7th century Kyichu Lhakhang. This morning we drive from Paro to Thimphu, Bhutan’s capital. On the way, we pass Tschogang Lhakhang Temple and there will be a brief stop at Chuzom, the confluence of Paro Chhu and Wong Chhu Rivers. 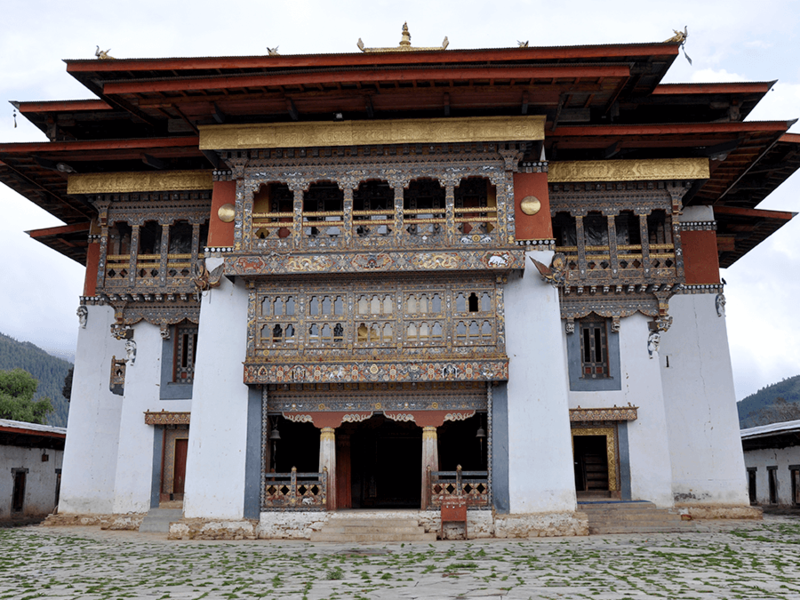 Before entering Thimphu, we stop to tour Simtokha Dzong, once a centre for tantric teaching, it now houses a school for the study of the Dzongkha language. Upon arrival at Thimphu, check into the hotel. In the afternoon we visit Changangkha Lhakhang, a fortress-like temple built in the 12th Century by a famous Tibetan Lama. 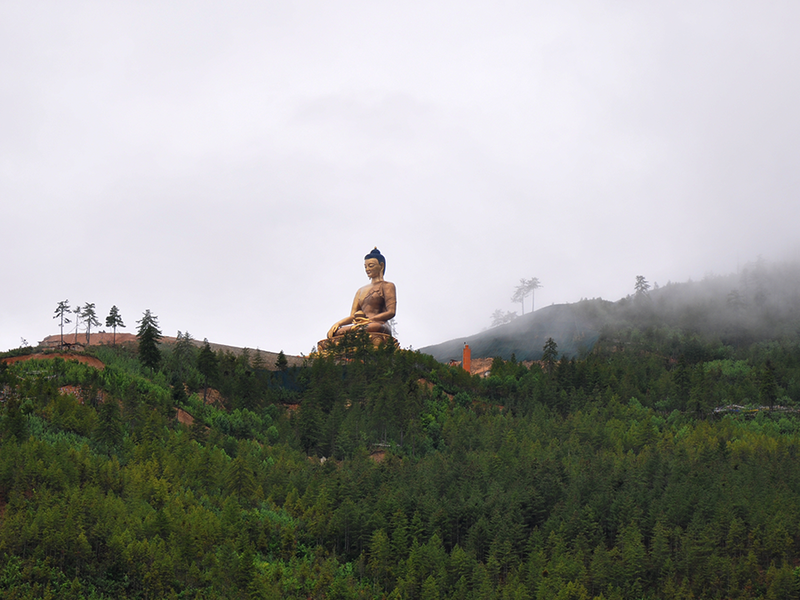 Next tour the Takin Preserve, home to the indigenous Takin, a type of small buffalo and before returning to your hotel, we visit Buddha Point, the largest Buddha statue in Bhutan with its breathtaking views of Thimphu valley. Today’s sightseeing takes us through the Thimphu Valley with several stops including the National Library, the Institute for Zorig Chusum (commonly known as the Painting School), the Textile Museum and Simply Bhutan, a museum showcasing the cultural heritage of the Bhutanese people. After lunch, we visit the King’s Memorial Chorten followed by a tour of Trashichhoedzong, an impressive monastic fortress. The evening is free to stroll on your own through Thimphu’s market which is known for hand-woven textiles, thangkha paintings, masks and other interesting items made locally. Following breakfast we head for Punakha, driving across Dochu La Pass. The passes in Bhutan are marked by large Bhutanese Choerten and prayer flags, and Dochu La pass offers spectacular views of the high peaks of the eastern Himalayas. 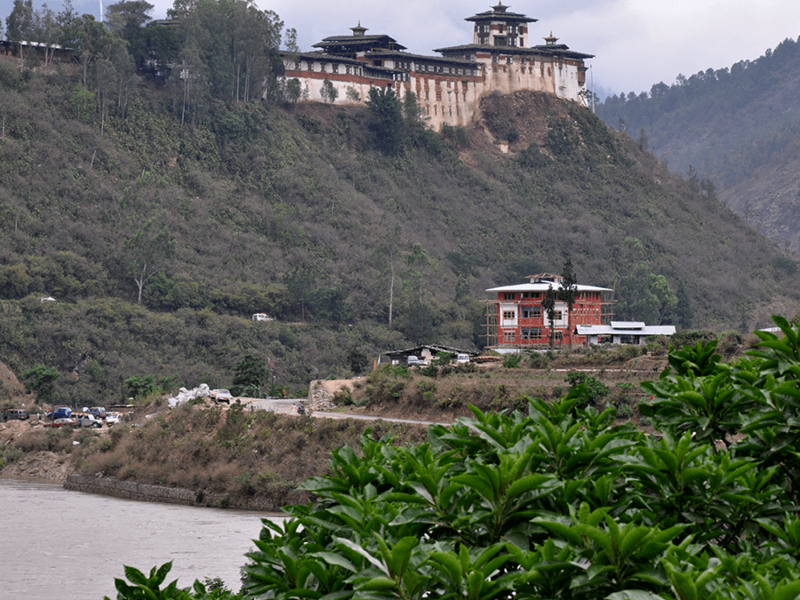 After arriving inPunakha, we visit the Punakha Dzong, built at the confluence of the Phochu and Mochu Rivers. While Bhutan has several interesting Dzongs but this one stands apart and is thought to be the most beautiful one in Bhutan. 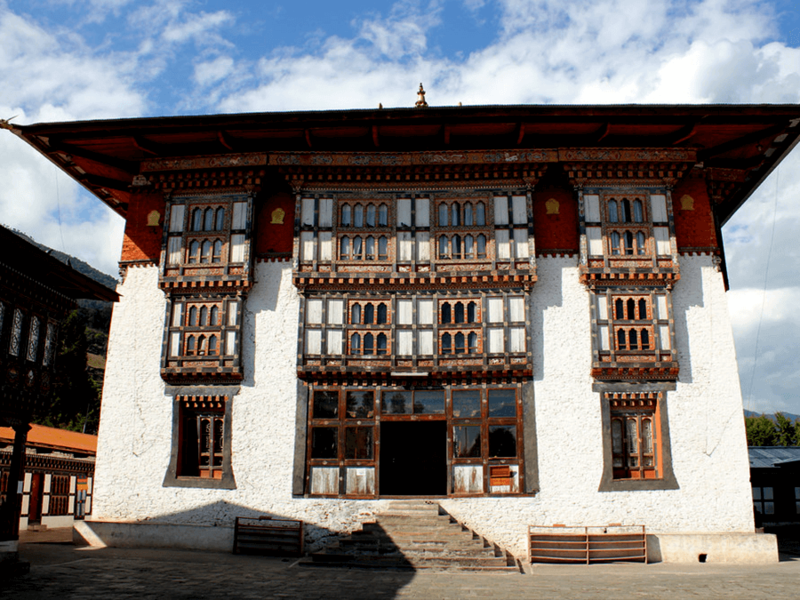 Later to day we then visit Chimi Lhakhang, also known as the Temple of Fertility. In the morning we leave for Gangtey driving through the Phobjikha Valley passing dense forests of pine, oak and rhododendron trees. In the afternoon walk around Gangtey village and visit Gangtey Gompa, the only Nyingmapa order of Tibetan Buddhism. The Monastery is in the middle of the village inhabited mainly by the Gomchens who are the caretakers of the Monastery. This evening we explore Phobjikha Valley which has become the winter home of Black-necked Cranes, which migrate from Tibet in the north, to pass the winter months in this milder climate. the the Information Centre, which not only provides valuable information about this beautiful bird but is also equipped with high magnifying power telescope and spotting scopes so you can see the cranes up close. Next we drive to Trongsa across Pele-la Pass, the traditional boundary between east and west Bhutan. Just before entering Trongsa town, we stop at Chendbji Chorten, a Nepali or Pagoda style temple. After arriving at Trongsa and checking into your hotel, we head out to visit Trongsa Dzong, Built in 1648, this fortress served as seat of power for the first two kings of the Bhutan. Accommodation: At your selected hotel – 2 nights. After breakfast start full day tour of Bumthang Valley. Also known as Jakar, it is made up ofises of four valleys – Chumey, Choekhor, Tang and Ura. Here we will tour Kurje Lhakhang; the Jambey Lhakhang (7th century temple); Tamshing Lhakhang, which has a fascinating collection of some of the oldest wall paintings of Bhutan and Jakar Dzong, the administrative center of the region. 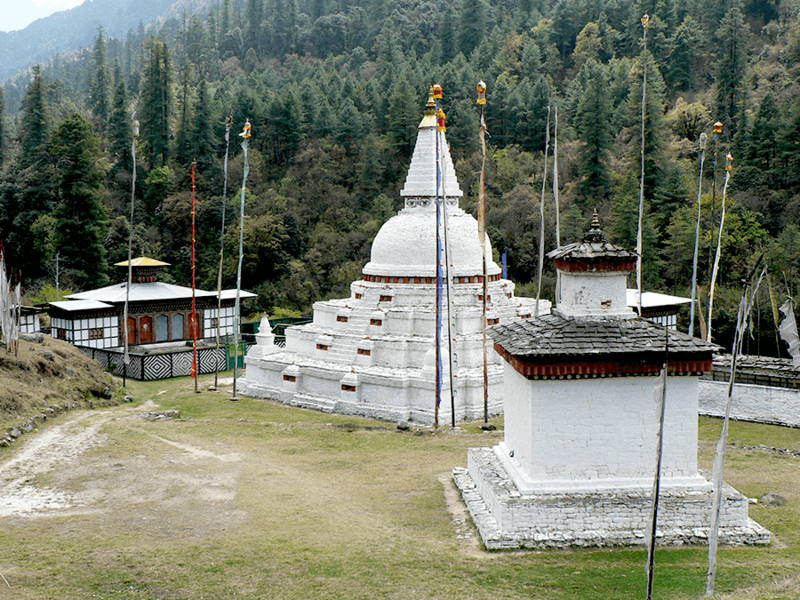 Later today, take a short hike to Lhodrak Kharchhu Monastery, about 3 km from Chamkhar. This monastery has become an important centre for preserving and revitalizing Tibetan culture. On our scenic, full day (approx. 6 to 7 hours) drive from Bumthang to Mongar, there are several wonderful photo stops en route as we drive past Ura village and over Thrumshing-la Pass (4,000m), the highest, motorable point in Bhutan.From here, we start our descent until reaching the Kurichu River crossing and arrive in Mongar. Set off this morning on a beautiful drive to Trashigang (96 km/3 hrs). Along the way we drive over Kori-la Pass (2,450m) and then start descending. There is drastic change in vegetation with open cornfields and banana groves as we reach the famous zigzagging road just below Yadi. There will also be a small detour to visit Drametse Monastery, one of the most important monasteries of eastern Bhutan and famous a particular type of masked dance with drums, before continuing on to Trashigang (1,100m). After lunch, we will visit Trashigang Dzong. One part of the dzong is used as administrative seat for the district, while the rest is occupied by the local Drukpa monastic community. Today’s excursion is to Trashiyangtse and on the way we visit the temple of Gom Kora where Guru Rinpoche is said to have subdued a demon, trapping it in a rock. We’ll also stop at Doksum to watch the local women engaged in weaving traditional cloths and see a swing bridge dating back to the 15th century. 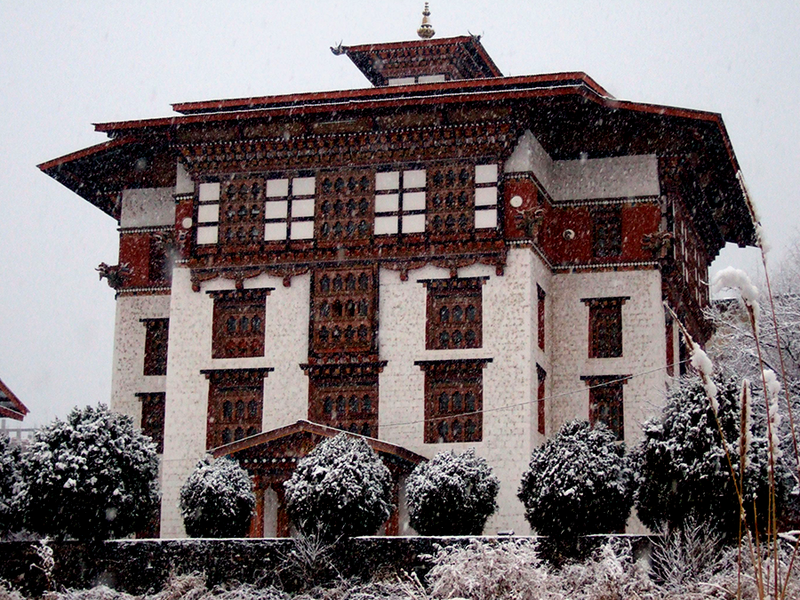 Upon arrival at Trashiyangtse, visit Trashiyangtse Dzong, built in the late 1990s. Time permitting, we will also visit Chorten Kora which is built in the same style as Bodhnath stupa in Nepal. This area is also popular for its inexpensive wooden containers and bowls. 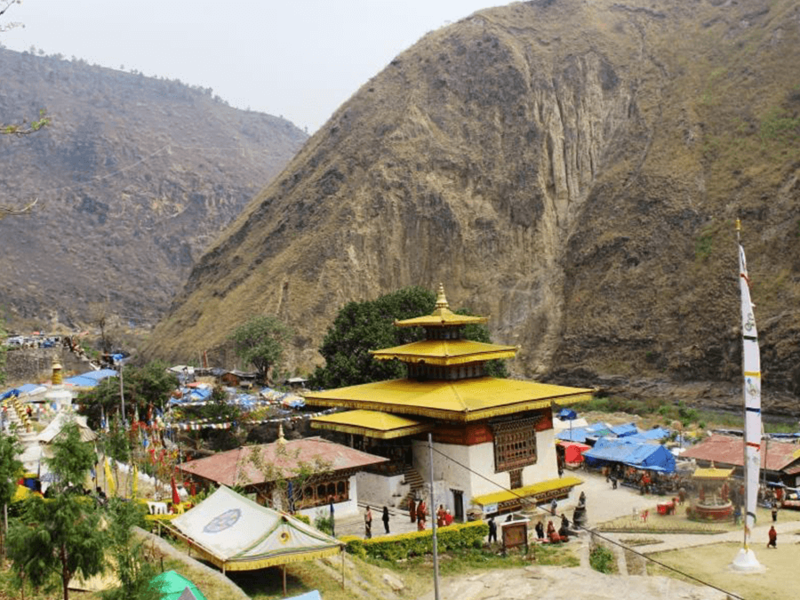 From Chorten Kora you can trek for 3 hrs to reach Bomdeling, which is bird watchers delight and famous as part of the annual migration route of Black-necked Cranes. In the evening, we return to Trashigang. 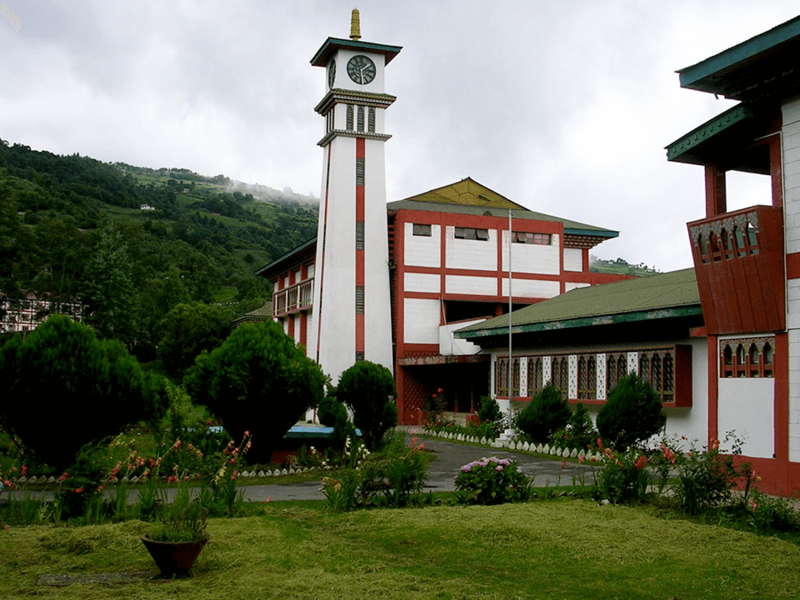 the way, we pass by Sherubtse College, the only college in country and Zangtho Pelri Temple. 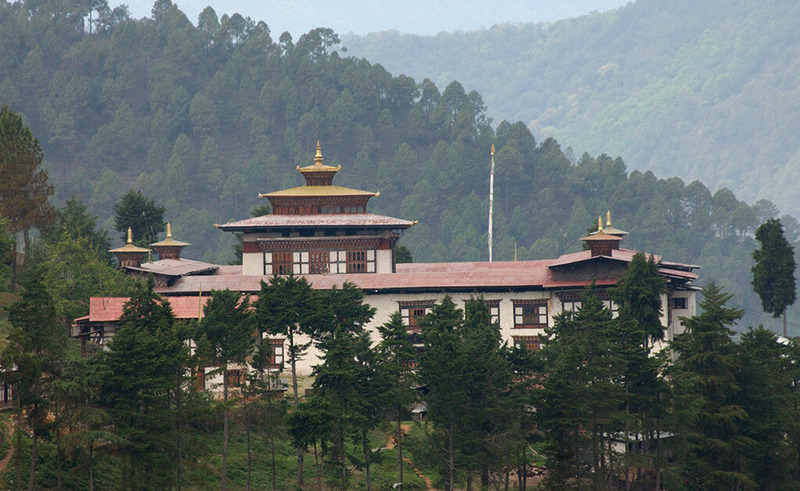 We will also visit Khaling to see the Blind School and Weaving Centre followed by a stop at Deothang, the main Technical training college of Bhutan. From here the road descends rapidly with the vegetation changing to the dense tropical forests full of teak, bamboo and ferns. After breakfast you are transferred to Bhutan border to be met by Indian representative who will take you to Guwahati airport for onward flight. OR you could take extension to Kaziranga National Park in Assam to see the One-horned Rhino and visit some of Assam’s famous tea plantation.